This workshop introduces needle lace with silver wire, and covers working with fine wire, creating simple stitches, adding beads and finishing. Students also learn about different grades of silver wire; how to choose beads and semi-precious stones compatible with silver; how to clean and care for delicate silver lace pieces. 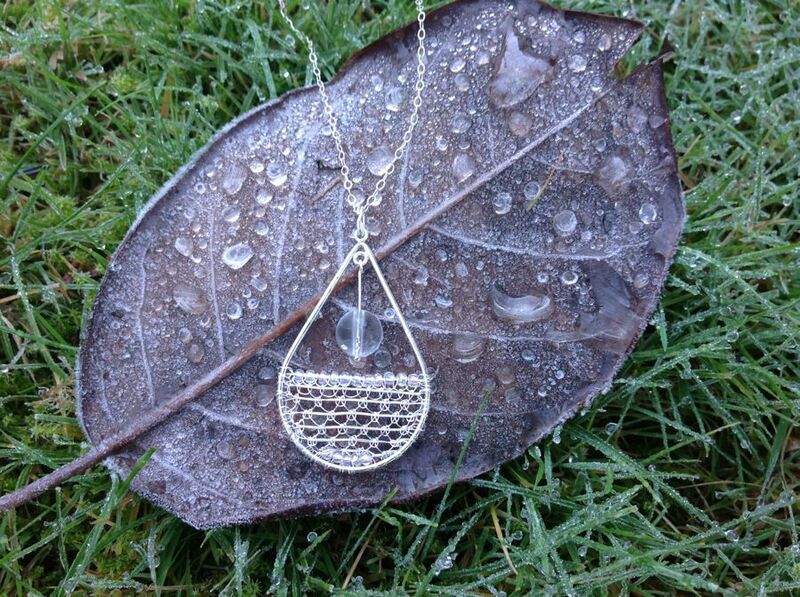 Class project: Needle lace pendant in silver with seed beads and clear quartz crystal pendulum. One intensive session – 7 hrs of instruction. Pre-requisite: Needle lace workshop in copper or stainless steel is recommended, or previous experience working with silver wire, such as knitting, crochet, wire wrapping or jewellery making. Copyright©2014 Lenka Suchanek. All rights reserved.